Daily fantasy sports are the fastest growing form of fantasy sports and it is easy to see why. The strategy and excitement that comes along with constructing a roster of golfers and then rooting them on that weekend is unmatched. 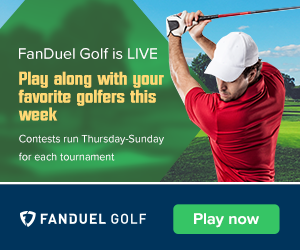 There are many websites out there offering daily fantasy golf. Visit one of them by clicking on one of the links on our home page and enjoy a great bonus with your first deposit. The information that we provide is invaluable and applicable to every daily fantasy site.